1. Who may obtain information concerning my account or toll transactions? For security reasons, we provide account information only to the registered Account Holder or other persons providing the Account Access Code established by the registered account holder. 2. Where do I mail a violation payment? Use the Pay/Dismiss Violations link on pikepass.com to pay violations online by credit/debit card. 3. Do I need to fill out the Affidavit of Non Liability if I am just making a violation payment? No, the Affidavit of Non Liability only needs to be completed and returned if you are contesting the violation. 4. If I receive a violation, but previously sold the vehicle, what do I do? Complete the Affidavit of Non Liability, have it notarized and return it to the Enforcement Branch along with documentation pertaining to the sale or trade in agreement related to the vehicle within 30-days of the date of notification printed on the Certified Notice of Toll Evasion. 5. Why does my PIKEPASS have to be mounted on the windshield? The transponder’s ability to communicate with the network of antennas located along each toll road is affected by mounting position. To ensure correct and consistent toll charges, the PIKEPASS is required to be mounted on a non-conductive surface (glass windshield free of metallic content). The mounting position on the windshield should be as close to the center as possible and behind the rear view mirror. This ensures that lane-centered antennas will detect the PIKEPASS during travel and an accurate toll will be deducted from the pre-paid toll account. An improperly mounted or displayed PIKEPASS will result in a “no read” incident, which is considered a form of toll evasion. While it is possible a PIKEPASS might read occasionally without being mounted correctly, the majority of these “reads” will be incomplete and can actually cause an incorrectly charged toll. Specific mounting instructions and a list of vehicles requiring special mounting instructions can be found at www.pikepass.com. 6. Can I use my PIKEPASS in a vehicle other than listed in my account records? No. PIKEPASS Stickers are not portable and cannot be transferred to another vehicle. Your PIKEPASS Sticker is associated to the assigned vehicle license plate. You are required to mount it correctly in the vehicle that the PIKEPASS is assigned. You will need to acquire a separate PIKEPASS Sticker for each vehicle that will be utilizing the pre-paid toll account. Note: If you are using a PIKEPASS Portable Hard Case, it may be transferred to other vehicles, as long as those vehicles are listed on your PIKEPASS account as alternate vehicles. 7. I put my money in the basket, but the light did not turn green. Will I receive a violation? No. All toll payments made at unattended cash lanes are accounted for. It is possible a foreign object might jam the equipment. If the light does not turn green within a few moments (10 seconds), proceed through the lane. Please DO NOT put additional coins or deposit less than the required toll. Most cash lanes are equipped to provide a receipt. You are encouraged to always get a receipt when traveling. Please contact the PIKEPASS Customer Service Center to report any problems at your first opportunity. 8. Why did I receive a violation after stopping and paying my toll? A Notice of Toll Evasion Violation incident can only happen when a vehicle has been identified as failing to stop at a required cash toll collection point or for failure to be identified as a PIKEPASS customer vehicle in a dedicated PIKEPASS ONLY lane. Occasionally, customers fail to recognize a required toll collection plaza, and innocently generate a violation incident prior to stopping and correctly paying for additional travel at the next toll collection plaza. Please be aware of signage along the toll roads, which directs traffic to required toll collection plazas. If you accidentally bypass a toll collection plaza, do not stop and back up against traffic direction as serious accident could result. 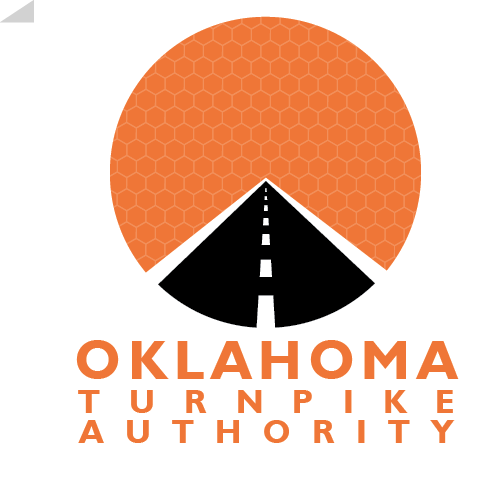 Make note of the date, time, turnpike, location and vehicle license plate and call the PIKEPASS Customer Service Center for the correct toll amount and payment instructions. If paying for a missed toll at another attended plaza, please make sure the toll attendant issues a receipt for the missed toll as well as current toll. Keep the receipt for a minimum of 45-days in case a Notice of Toll Violation is processed and mailed. 9. Why are toll attendants not always in the attended lanes on the Creek, Kilpatrick or Cherokee turnpikes? Toll attendants are scheduled to be on duty during periods of peak traffic volume to assist with processing. 10. I have a PIKEPASS account. Why did I receive a Notice of Toll Evasion Violation?